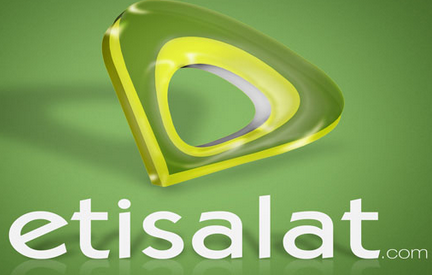 In a bid to stabilize the hassles facing the telecoms company, Etisalat has hastened its efforts, by changing the company's brand name. It was exclusively gathered that the new name is 9Mobile. At an executive meeting held in Lagos two hours ago, the name 9Mobile was adopted and all staff across the country are being notified of the change of name. Emerging Markets Telecommunication Services Ltd.
(EMTS) trading as Etisalat Nigeria on Tuesday informed its customers that a proposed change of brand name will not affect its operations. The telecoms company is yet to unveil the new brand to the public. Etisalat Nigeria has 20 million subscribers, making it the country’s number four mobile operator with a 14 percent market share. Our mandate is to make sure the business runs as profitably as it can. What is most important now is to … ensure that the business runs and meets its obligations,” the company’s new chief executive Boye Olusanya said on Tuesday. He said the telecom company is focused on getting the group back on track.